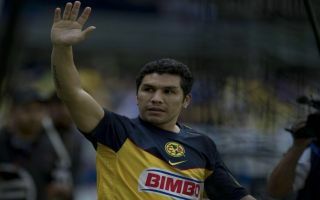 Ex-Club America attacker Salvador Cabanas says that he was ready to sign for Manchester United before he became an attempted murder victim back in 2010. Cabanas earned 44 caps for Paraguay during his playing career and plied his trade at club level throughout South America. His performances at the height of his playing days caught the eye of club officials at Man United, who made a play for his signature back when Sir Alex Ferguson was still in charge at the club. However, according to Marca, the move had to be called off after the striker was shot in the head at a nightclub eight years ago, which although he managed to survive, kept him out of action on the pitch for sixteen months. The 38-year-old revealed on Monday that he came so close to moving to Old Trafford before the tragic incident took place after he had signed an initial £1.3 million pre-contract arrangement with the Premier League giants – as Marca also states. He opened up reporters this morning: “I had signed a pre-contract agreement for £1.3million)for a transfer to Europe. They told me my destination would be Manchester United. In his prime, Cabanas was a devastatingly effective forward and his stats at Club America are a testament to that. He scored 66 goals for the team in 166 appearances and helped drive the club towards two Copa Libertadores wins, which makes you wonder what might have been for the Paraguayan had he never been struck down on that fateful night. Man United supporters might have welcomed a new hero at Old Trafford at a time when the club had just lost Cristiano Ronaldo in attack. Who knows what might have been but the main thing is that Cabanas lived to fight another day and his humbling story just goes to prove that there are more important things in life than football.